The refurbishment and extension of an existing building delivers approx. 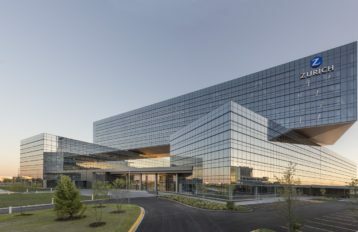 70,000 sq. 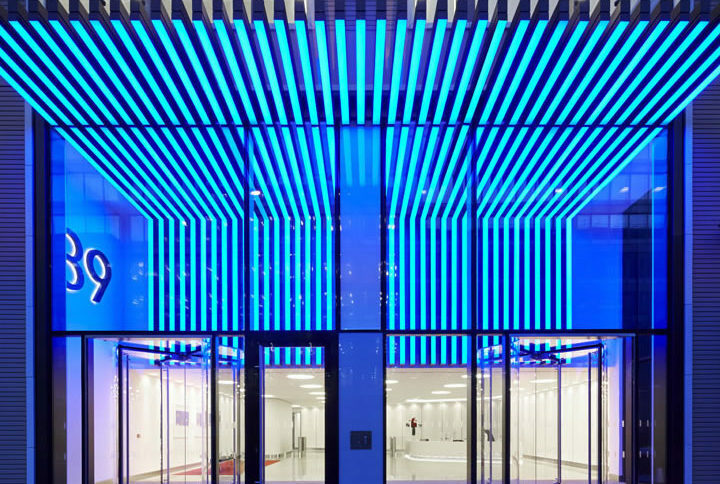 ft. of modern office space, in the heart of London’s Victoria Street. The façade consists of glazed terracotta curtain walling. A very fancy neon lit Aluminium and Glazed canopy sets the night view of the Glass revolving door and the double height glazed entrance as being very unique. 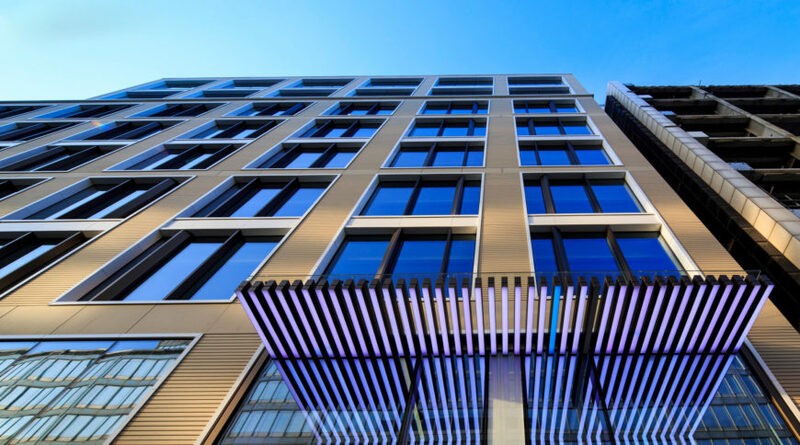 Inner courtyards and penthouse are fully glazed and have sliding doors that provide 360 degree views of London city. The original heavily gridded façade consisting of aluminium and maroon glazing has been re-configured. 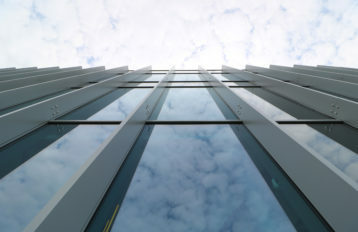 The new façade introduces a smaller and more flexible grid offering a less repetitive treatment with new glazing and a more varied palatte of materials. 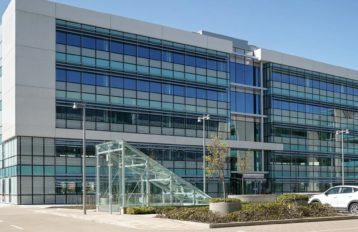 The project has given the 1985 office block a new lease of life, with a modern specification, sustainable approach and high energy efficiency standards. 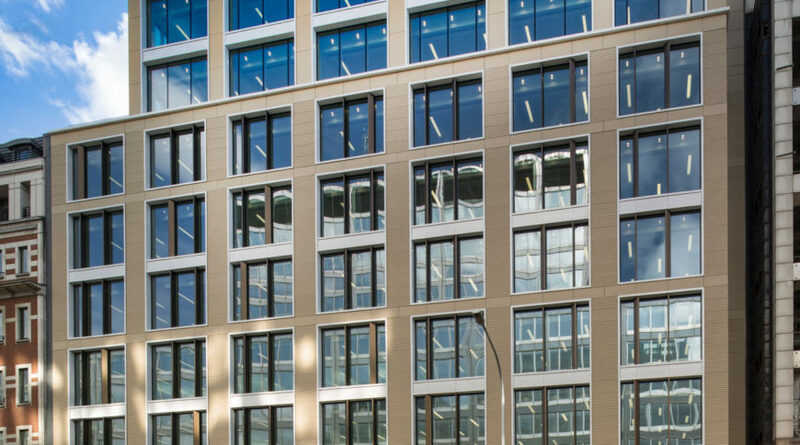 39 Victoria Street now offers 88,500 sq ft of Grade A office space, with a new façade, an EPC of B and a BREEAM ‘Excellent’ rating.